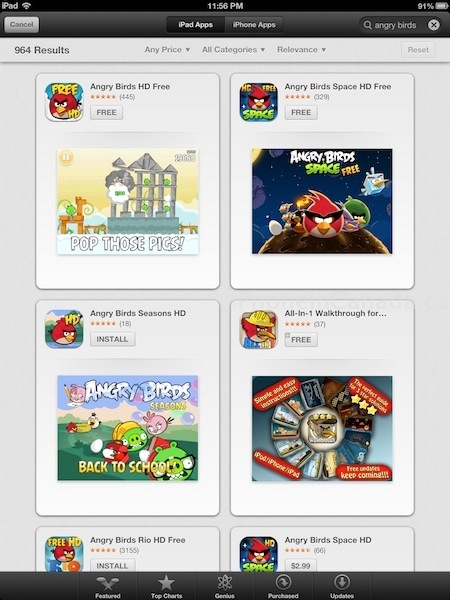 Tonight Apple has quietly updated its App Store search results within iOS 6 beta. Search results on both the iPhone and iPad now show a large tiled card view, in which MacRumors notes is influenced from Apple’s recent acquisition of the app discovery company, Chomp. Previously, search results within iOS 5 showed results in a listed view, whereas this new tiled card view enables viewing results by swiping to the left one at time. This change is certainly much slower than previous, but it does bring a more aesthetic look to search results, given the fact screenshots are shown right away instead of just app icons. 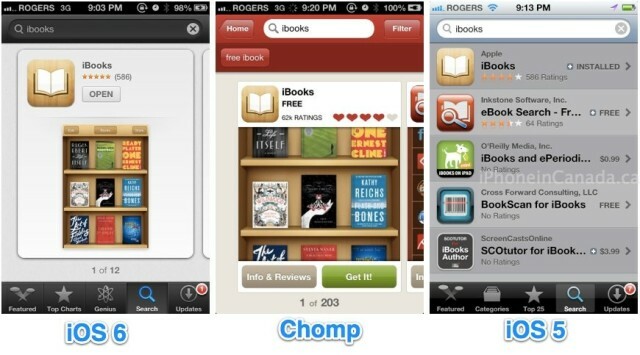 Apple acquired Chomp back in February for a reported $50 million dollars. The app discovery service was available for iOS and Android apps, but Apple soon pulled the plug on the latter in April. 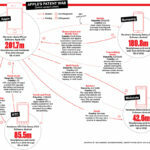 In June, numerous developers noted changing search algorithms for apps in the App Store, an indication Apple was already involving Chomp into search. 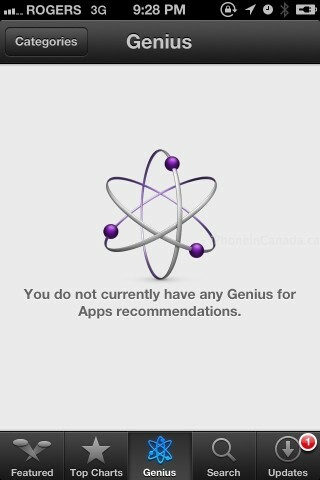 Other updates include the ability to once again search for podcasts within the iTunes app.